While earbuds are perfect for everyday city exploring, a stylish and functional pair of headphones for an international flight and to make a statement are a must. 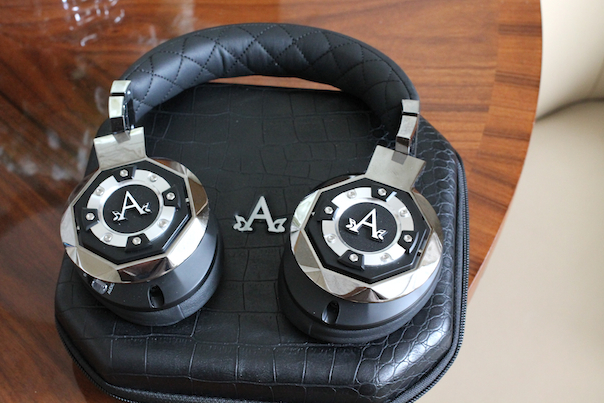 The A-Audio Legacy over-ear headphones not only have the leather and metal detailing (plus comfort) of a luxury car, but also have sound quality that is DJ-approved. If you are an audiophile, this is a pair to have in your collection for its 3-Stage Listening Technology that allows you to switch between Base Enhancer, Active Noise Cancellation and Audio modes to fit for the song you are listening to. Available in liquid chrome with black accents (above) or matte phantom black, and comes with a luxe carrying case. A-Audio is becoming a fav of mine for not only the sound, details and comfort, but that “A” on each ear so I can pretend the headphones were personalize just for me. 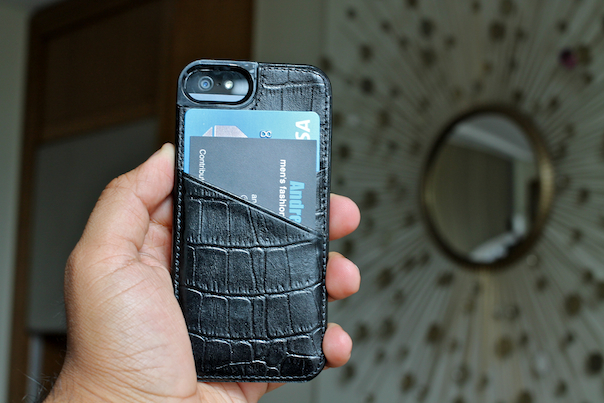 A flawless match for the headphone above, Sena’s Lugano Wallet iPhone cover in croco black is a stylish upgrade from your everyday snap-on case. Made of genuine leather, features include padded protection and two exterior card pockets. Wallet / Coin Case – Herschel Supply Co. 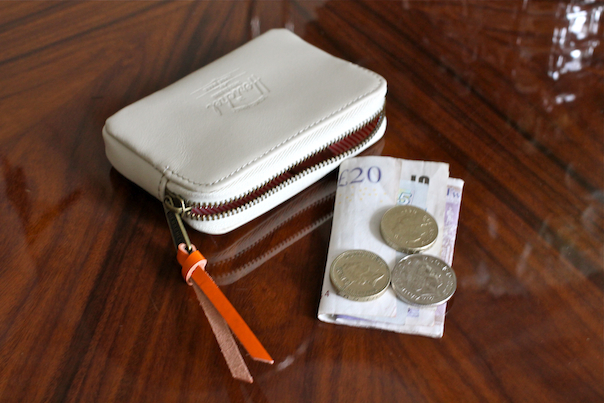 If you are traveling to UK or another destination that might have you carrying around a lot of coins, along with a wallet smartphone cover for cards, a second zip wallet comes in handy. Herschel Supply Co. has a full grain leather pouch Oxford Wallet that features antique brass zipper and an internal divider for cards or bills. 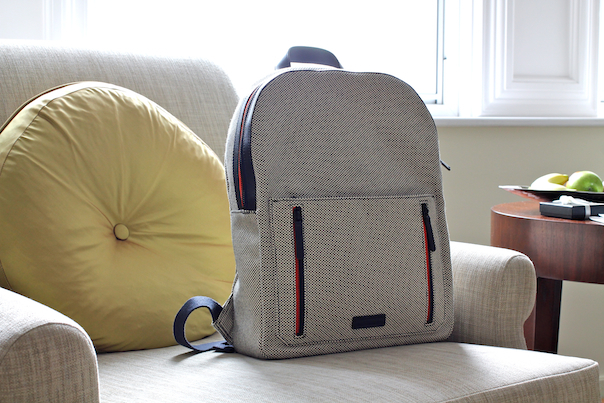 Coated in Herschel’s signature cotton-poly fabric, and available in both neutral and bright colors. While the iPhone’s lens is getting better, higher quality photos are achievable with external lenses. 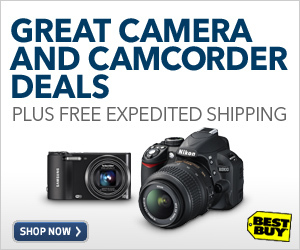 The Kodak PIXPRO SL10 Smart Lens Camera is an easy to use tool that provides 10x optical zoom. 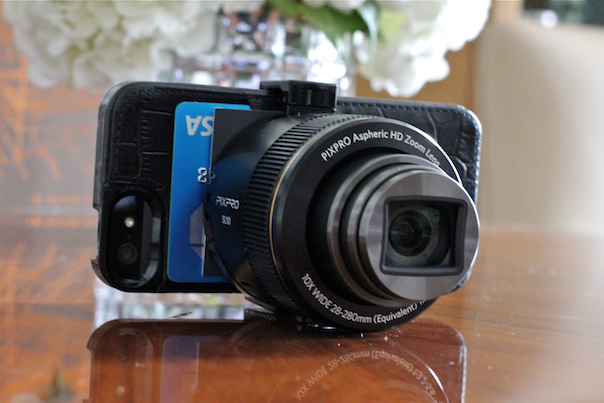 It is easy to attach to the back of your iPhone, and then after downloading an app and connecting to the lens via WiFi, you are able to start shooting detailed 16MP photos or 1080p HD movies. More details and photo examples of the lens to come! A portable power supply source is an important tool for both everyday and travel, but at times they can be pretty bland and boring. Mophie’s powersttion 4000 is a slim power source that provides up to 2.5x extra battery life to your phone, smart lens or other tech that can connect via a USB cable. 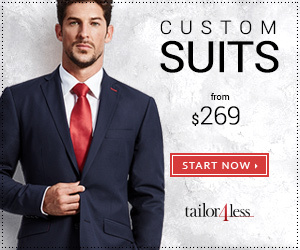 Available in bright colors such as blue (above), green, pink and orange. 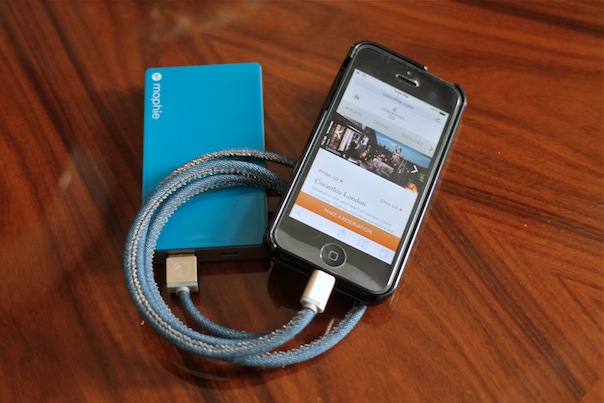 Stylish tech shouldn’t just stop at the portable power source and iPhone case. No, even a USB cord or lightning cable can be upgraded. Designed in Australia, the PlusUs LifeStar are cables that are handcrafted with denim (above) or leather for not only durability (there’s a lifetime guarantee with each cord) but real style statement. 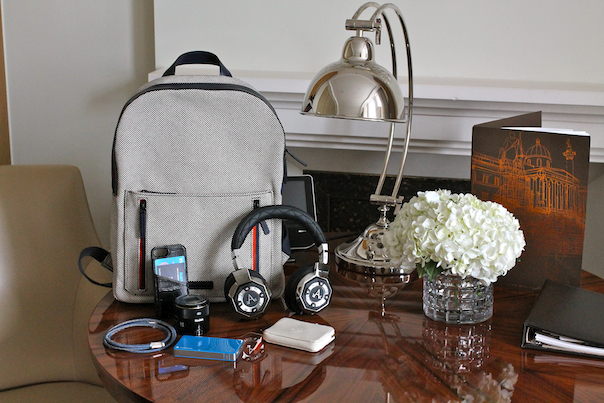 Available in various colors and a length of either 10″ or 3.3 ft.
You need a chic backpack to carry all of these gadgets and accessories in, and Ben Minkoff’s Bondi Backpack is a perfect choice! 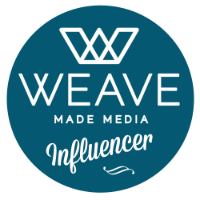 Not only is it stylish, but it’s very functional with three exterior pockets, one interior zip pocket, a large interior slip pocket that can fit a 15″ laptop, and more small slip pockets inside to utilize. See how I styled it here when the backpack came with me to Budapest (and see how I styled it in London soon!). Posted on November 25, 2014, in Shopping, Tech + Gear, What To Pack and tagged Accessories, Backpack, Ben Minkoff, Fashion, Headphones, Herschel Supply, In The Bag, Kodak, London, Mophie, Must Have, Style, Tech, Travel, Wallets. Bookmark the permalink. Leave a comment.